Get on board the fastest, most productive charter boat on the West coast of Florida! With over 25 years of experience on Florida's West Coast, the staff at Offshore Hustler Fishing Charters is so confident that you will catch fish, we will not only guarantee you fish, we will pay you for the charter if we don't catch any fish!!! No one works harder to deliver a trip of a lifetime then we do! We offer a high-quality experience, from the time you make your reservation, to the time the last fish filleted. The staff of the Offshore Hustler provides nothing less than the highest quality experience you will never forget, and making memories that will last you a lifetime! 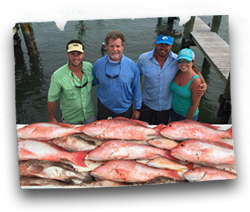 Captain Pete has been fishing professionally in the Gulf of Mexico for over 25 years. 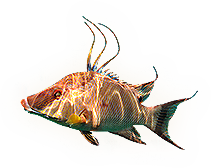 It has given us a reputation that has been earned by delivering the ultimate fishing experience. Captain Pete's knowledge of the area and his boating skills are unmatched. 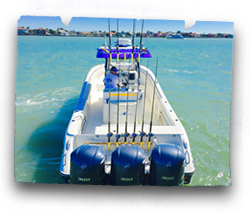 If you are ready for a rod-bending, reel-screaming, adrenaline-pumping good time then get on the ultimate offshore sport fishing experience! Capt. Pete a guide who won't just take you fishing, he will teach you fishing. Whether you're a beginner or pro, Capt. 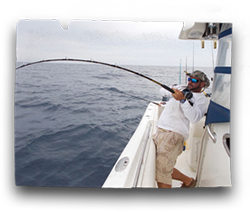 Pete's professional, patient and courteous style will help you improve your fishing skills as an offshore angler. It's not just a fishing trip, it's a total fishing experience! Capt. Pete loves what he does and it shows! Offshore Hustler specializes in bottom fishing and trolling the Gulf Coast waters of Florida, from Tampa and St. Petersburg all the way up to Tarpon Springs, down to Sarasota and out to Florida's Middle Grounds about 80 miles west of the Gulf Coast. The diverse bottom structure of the Middle Grounds makes for exciting fishing. Offshore Hustler departs from Pass-a-Grill Beach in St. Petersburg, Florida. 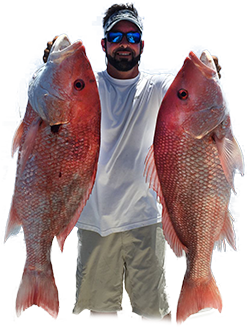 Get on board with Captain Pete and experience the finest deep sea fishing the Gulf of Mexico has to offer. I'm attaching a few highlight pics of our AWESOME fishing trip!!! Our boys can't stop talking about, and I quote, "The best day of my life". We had so much fun and will definitely be back soon! The entire day replays like a highlight film in my mind!